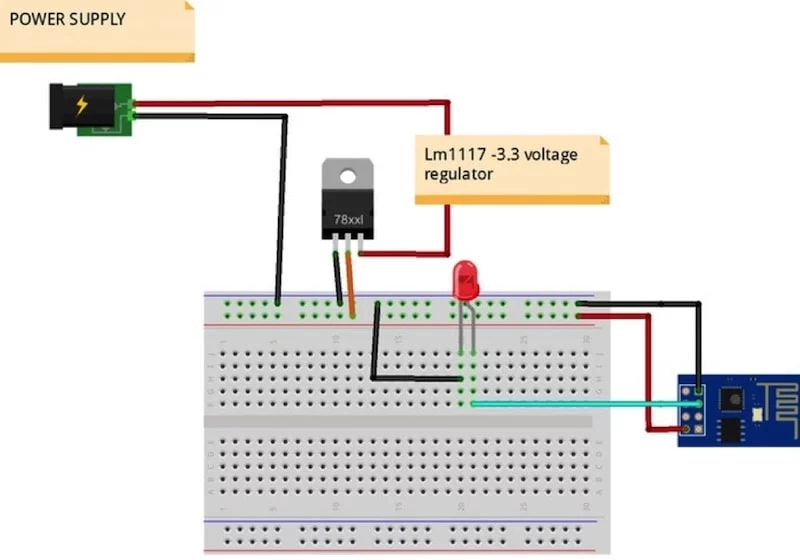 How to use an ESP-01 module to control an LED over the internet, which allows you to control any electrical device. 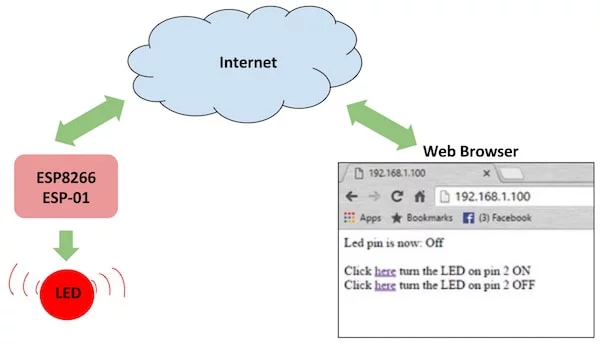 In this ESP8266 tutorial, we are using an ESP-01 module to control an LED over the internet. The ESP8266 is a cheap, yet effective platform for communicating over the internet. It's also easy to use with an Arduino. 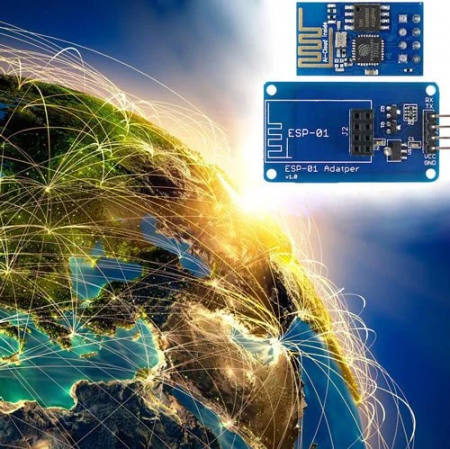 After going through this ESP8266 tutorial, you will have the know-how to control any electrical device through the internet from anywhere in the world! Here, we will be using an USB-to-TTL converter to program the ESP8266 ESP-01 module.And we'll be using the Arduino IDE to develop the web server to control an LED remotely. If you just bought your module, you can also refer my previous ESP8266 tutorial to see how to get started with the ESP-01 Wi-Fi module. It also shows how you can configure it and verify that there is communication established between the ESP8266 and another device without using aUSB-to-TTL converter. The ESP8266 can be controlled from your local Wi-Fi network or from the internet (after port forwarding). The ESP-01 module has GPIO pins that can be programmed to turn an LED or a relay ON/OFF through the internet. The module can be programmed using an Arduino/USB-to-TTL converter through the serial pins (RX,TX). 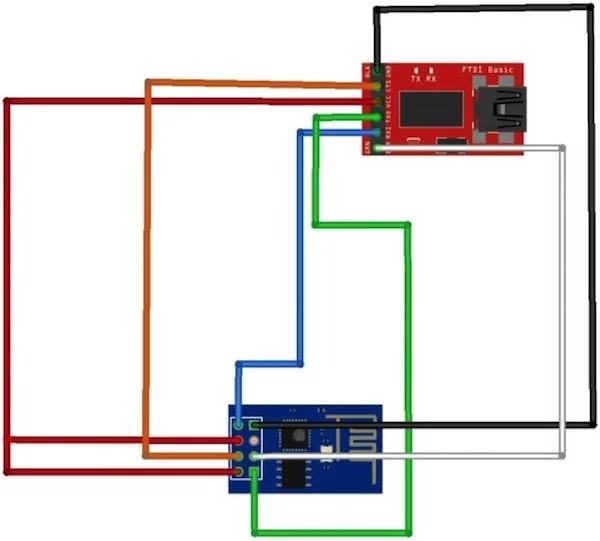 We can either use a USB-to-TTL converter or use an Arduino to program the ESP8266. Here are three methods you can follow to upload the code to ESP8266 — select the one that suits you best. Refer to the following diagrams for each and set up the hardware accordingly. If you're using a USB-to-TTL converter that has a DTR pin, uploading will go smoothly. Please be informed that the serial monitor will not work while doing this. While uploading the code, press the flash button. Keep the flash button pressed while you click once on reset. You may now release the flash button. The ESP8266 is now in flash mode! You will be able to upload the sketch now. 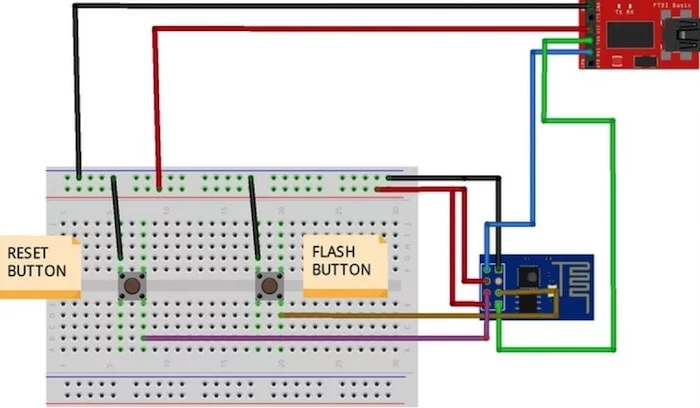 You can use the Arduino UNO to flash the code to ESP8266 ESP-01. While uploading the code, follow the same procedure to keep the flash button pressed while you click once on reset and release the flash button. Use any one of the methods shown above and open the Arduino IDE, then select your ESP8266 board from Tools > Board > Generic ESP8266 Module. 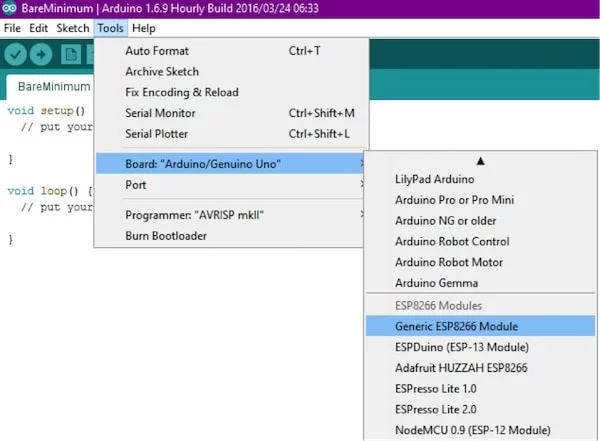 Note: If you haven't installed the ESP8266 board setup for Arduino, do that by following STEP 2 of this tutorial. Then continue with this ESP8266 tutorial. 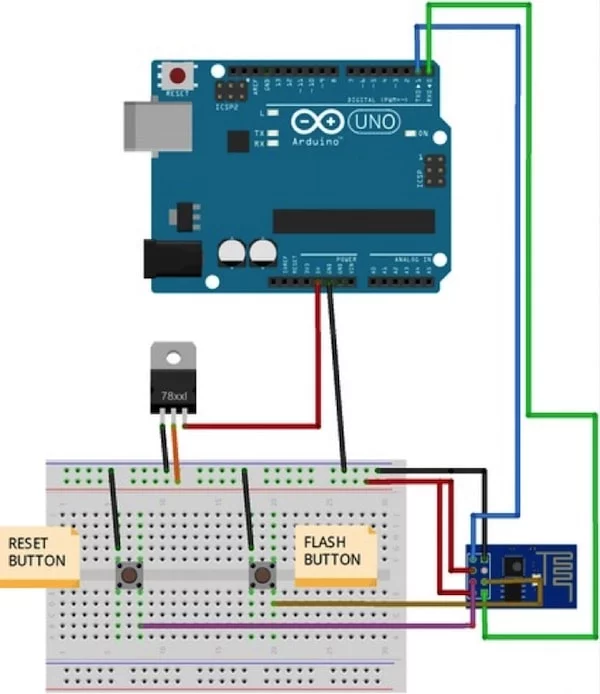 Now copy the code given below to the Arduino IDE and press the upload button. 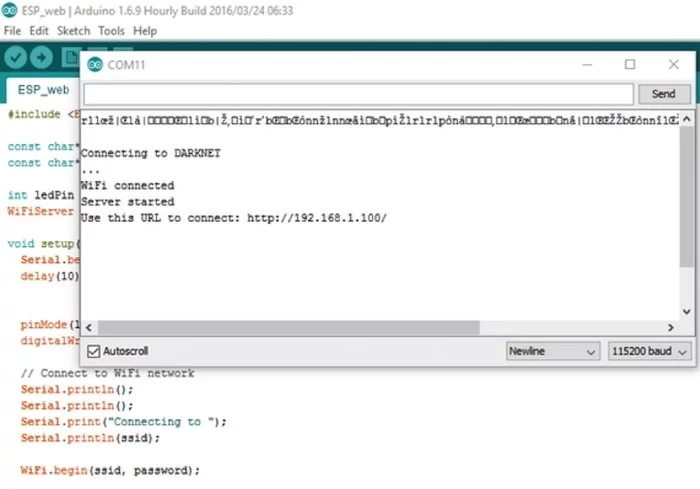 Change SSID into your Wi-Fi access point, and change the password to your Wi-Fi password and compile. Open the serial monitor and open the URL shown in your serial monitor through your web browser. Connect GPIO 2 of the ESP8266 to the longer lead of the LED (+ve terminal). 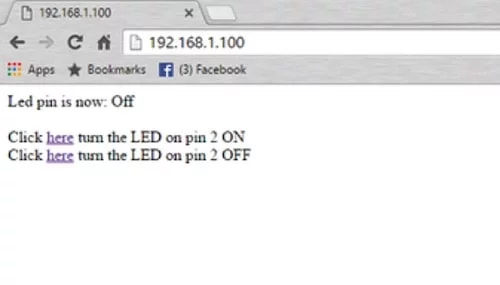 Now you can control the LED remotely through the internet! Click on the respective hyperlinks in your browser to toggle the LED ON and OFF. Remove all the wires that were required for uploading. Lm117 is used to provide regulated 3.3V output. This will let you make the ESP8266 or ESP-01 module stand alone.